After experiencing the thrill of hosting a Parlour Gig last year – we were hooked. 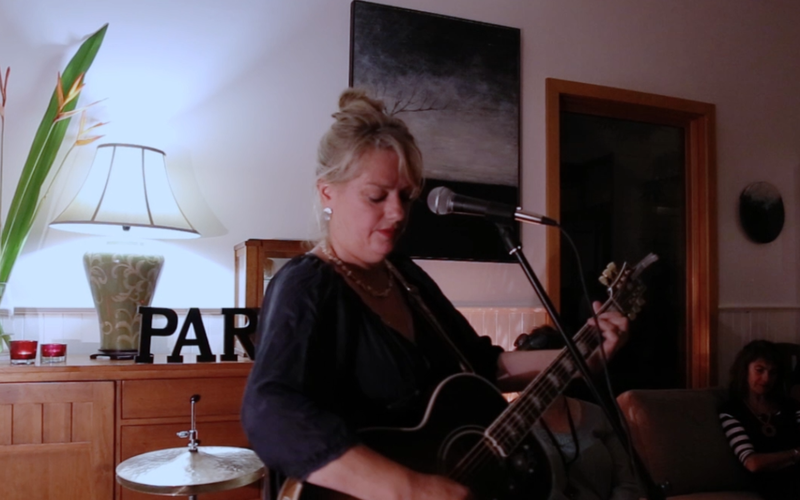 So a few weeks ago we once again opened our home to an enthusiastic crowd of friends- and friends of friends – to enjoy an evening with the always-exceptional Rebecca Barnard. Suffice to say, I am more convinced than ever of the incredible value of a ‘house concert’. The day after our event I was inundated with texts and messages from friends saying how much they had adored the night. Time and time again, people talked about the privilege of being able to really listen to an artist do their thing – to hear the music the way it is supposed to be heard - pure, live and without the distraction of a noisy audience, an irritating coffee machine or the discomfort of standing for hours on end, straining to get a glimpse of the stage. With a glass of wine or a cup of tea in hand, a comfy cushion or chair and a feast of fine food – we settled in to enjoy one of Australia’s best musicians. And what a treat. Bec began her set with several songs from her time in Rebecca’s Empire – doing an amazing job of reinterpreting songs recorded with a full band as powerful solo-acoustic numbers. From opening lines of ‘Empty’ – she had several members of the audience mouthing the words in a nostalgic swoon. From there, she performed a selection of songs from her two solo albums ‘Fortified’ and ‘Everlasting’ plus a few covers and some great jazz pieces - it was absolutely, utterly captivating. I have seen Bec perform many times and am constantly in awe of her ability to connect with an audience. To watch her work her magic in such an intimate setting was truly special. With decades of experience in the music industry, she can make a performance appear effortless while maintaining a precision of pitch, dynamic and tone rare in less experienced performers. It is no wonder she remains in demand and is regularly sought out as a mentor to younger singers. But what made Bec’sParlour performance even more special were the storiesshe shared in between songs. Bec is a gifted story teller and uses her music – and her time ‘on stage’ to connect in profound ways with people. I don't think I will ever forget her hilarious story of meeting Tony Bennet when she was recording in New York- nor her many references to her late father the drummer, Len Barnard. And how beautiful it was when she invited her 19 year old son Harry – an accomplished drummer in his own right - to join her ‘on stage’ for a few songs . He did his grandfather proud. For me – the night captured what a Parlour Gig is all about. It's more than a musical performance and it is more than a ‘concert’ in one’s home. A concert suggests a distance between stage and audience but Bec instantly closed that gap. Bec’s music, her stories and her open, invitational style gave people a strong sense of connection and belonging. 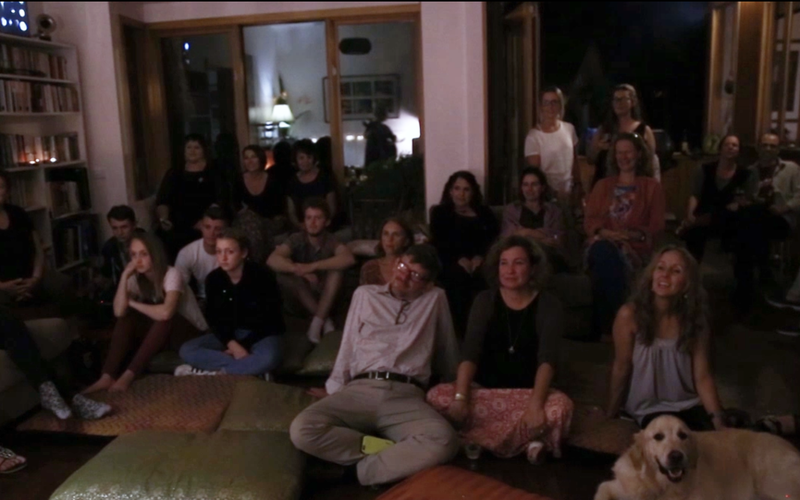 Gathered together in our lounge room, I know that the 50 or so guests in our home that night felt a true sense of community that you can never really experience in a more formal venue. To have someone of Bec’s calibre play for us- in our home - was such a gift. My thanks again to the Parlour team for making it all possible.